Which is the best paid anti-virus software? This seems to be a common question for people who want to protect their computer from threats that might happen as a result of careless browsing online. I imagine that in cases like these, although there are several free anti-virus programs, you’re considering purchasing an anti-virus in order to have professional tools with proven effectiveness. This is your situation and you’d like to find out more about the best software for providing real-time protection of your computer? Well, you have every right to know about the subject. In the course of this guide, I will tell you in detail what I consider to be the best antivirus and the criteria used to evaluate them. Are you ready to start? Yes? Excellent! Set aside a few minutes in your free time and read my tips on antivirus. Before we begin, as usual, I hope that you enjoy reading. How to Compare Antivirus Solutions? Before you buy an antivirus it would be best to weigh-up which is the most effective from a security standpoint. Doing this is much easier than you might think, thanks to the existence of several comparative tests carried out by specialist companies. Among the comparative tests, I suggest you consider is AV-Comparatives, a company which monthly, annually or semi-annually, takes carries out tests clearly and plainly showing, to a large audience, which antivirus has the best balance between effectiveness and performance. The test result is expressed as a graph, so that, at a glance, you can carry out a comprehensive assessment by yourself. With this said when you’re advised to read the test results conducted by AV-Comparatives go via this link to the company’s official website. You’ll see when you load the web page in question that you can see different types of tests using the Test drop-down menu. First, look at the option Real-World Protection: this is a test of the real-time protection of your PC. 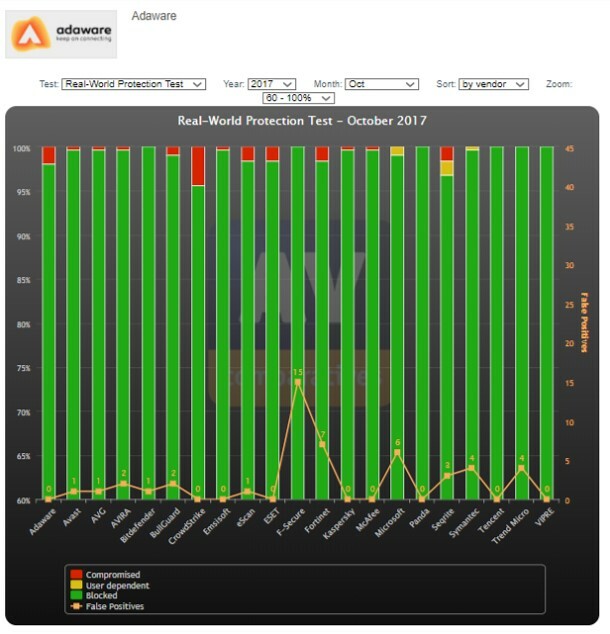 Among the items to be considered is Performance Test; this is an assessment of the impact the antivirus has on PC performance. Consider this information if you have a PC with low-cost hardware and you need to buy an antivirus that has less impact on performance. You can also find the word Heuristic/Behaviour; this is a test to analyze the effectiveness of the antivirus in recognizing threats that have not yet been included in the database. Finally, if you consider the option False Alarm Test you can get an idea of the number of false positives that have been reported by the antivirus. Once you’ve chosen a test to display (for example Real-World Protection) then select the year and month using the appropriate drop-down menus. You can then show the data for some of the most popular antiviruses. If you would like more information about companies that do antivirus comparison tests, I suggest you read my previous article entitled Antivirus Classification. In the link provided, you will find more detailed information on other internet sites that specialize in the comparison of antivirus software. According to the ranking drawn up by AV-Comparatives, one of the antiviruses that most stood out in recent months has been Avast. This popular program is able to perform a thorough virus scan and, thanks to technological advances, is no longer considered a “heavy” antivirus: we can, therefore, say that we should absolve it of the accusations that “antivirus slows down your PC “. At the present time, therefore, it’s a valid antivirus and is available as a free version, as well as a paid-for version. However, wishing to evaluate the complete version that requires a cash outlay, Avast Ultimate is available for individuals, a complete package of well-known antivirus software. By purchasing Avast Ultimate you will have in the first place access to Avast Premiere, an advanced and lightweight version of the antivirus (which also includes tools for defending against spyware and ransomware) but also additional security tools for your Wi-Fi network and its passwords. Included in the package there is also SecureLine VPN, Cleanup Premium (PC cleaning tool) and Premium Passwords (password manager). The cost of the Avast Ultimate package is currently on offer at the price of $119.99 (instead of $209.96) and includes a 1-year license for a single PC. If you want to trial before purchasing this package, you can download the 30-day free trial of Avast Premiere. To do so, go via this link to the official website and click on the download button under Avast Premiere. 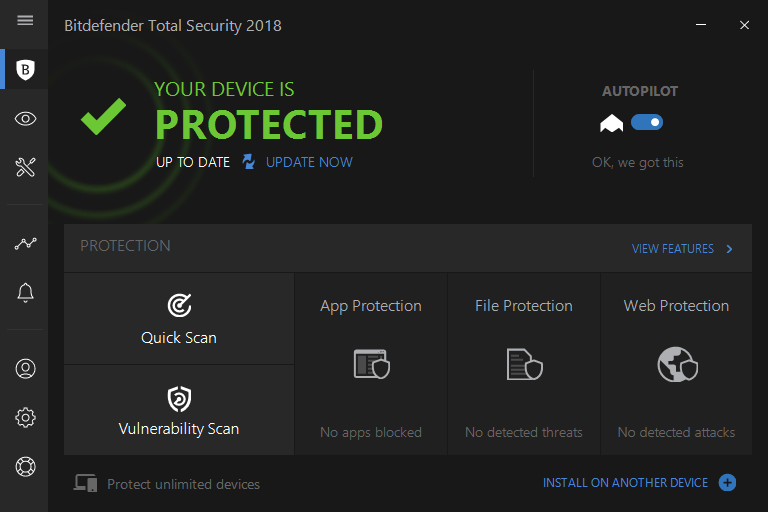 Among the paid antivirus that I suggest, you buy is AVG, a full feature software suite designed to meet different needs for protection, thanks to its advanced tools. The most comprehensive package offered by AVG is called AVG Ultimate and at 99.99$ per year, provides access to a suite of programs for PC and mobile devices. Buying the paid version of this antivirus includes the security tool Internet Security and PC cleaning software TuneUp which optimizes programs to speed up the Microsoft operating system. Purchasing this also gives you access to the Pro version of AVG Antivirus and AVG Cleaner which can be installed on mobile devices running the Android operating system, providing real-time protection for your smartphone. Included in the AVG Ultimate package is also the VPN tool, AVG Secure VPN, the password manager software, AVG Password Protection, and AVG Driver Updater. Like so many other antiviruses, even AVG is also available as a free version; alternatively, to evaluate the advanced security tools, it’s recommended that you download the trial version of AVG Internet Security Full. 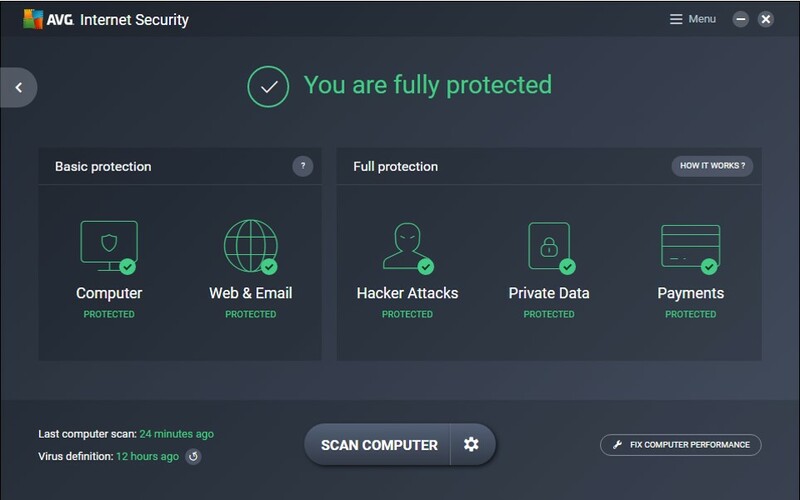 To download the trial version of AVG Internet Security Full, go via this link to the official website and click the Download button for the free-trial version. Considered an excellent antivirus, Bitdefender is definitely a good choice for those looking for total protection for your PC and willing to pay for a license. The manufacturer of this antivirus software has stood out in recent years for the quality of its products, creating an antivirus product suite designed for individuals and businesses. The prices of its antivirus packages are also very affordable, there is no mention of astronomical prices. At present, if I were to advise buying an antivirus from Bitdefender, the choice falls on Total Security, which at the time of writing is offered as part of a promotion at the cost of 49.99$ for an annual license and guaranteed protection for up to 5 devices. This suite makes it possible to get protection even for mobile devices, whether Android or iOS. 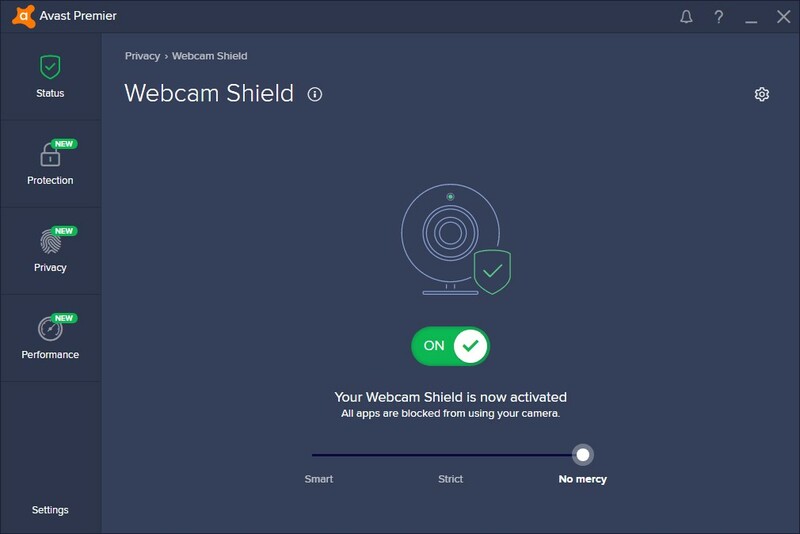 Among the security tools offered include tools that prevent possible violations of your webcam, but also include an additional protection tool designed for people who regularly shop online. To try before buying the paid version of Bitdefender, I recommend you to download the 30-day free trial. To download the free trial version of BitDefender, go via this link to the official website; then click the install button next to Bitdefender Total Security. Talking about the best paid antivirus, we have to also mention Kaspersky and its software solutions which are designed for individuals and business. This antivirus tool integrates various security tools but also takes care of network security for online shopping and the security of sensitive data. The product we recommend buying is called Kaspersky Total Security and its price varies depending on the number of devices you want to protect. Among the best-selling versions and proposals on their website is the one priced at 49.99$ which includes a one-year license and the ability to protect up to 5 devices. Something of note is the company’s commitment in the realization of several other security-related products: there is more specific software such as Kaspersky Password Manager (password management program) Kaspersky Safe Kids (program for monitoring the activities of your children) and Kaspersky Secure Connection (VPN). All the programs mentioned are paid-for but you can try it for free thanks to a trial. 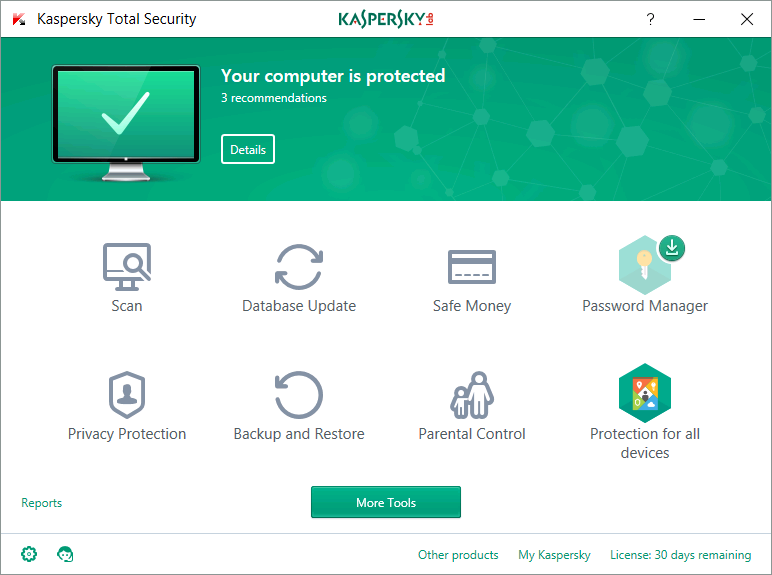 If you’d like to try any of the software listed above (you can also try the antivirus Kaspersky Total Security) visit the official Kaspersky website.